A model wears a creation for Roberto Cavalli women's Spring-Summer 2016 collection, part of the Milan Fashion Week, unveiled in Milan, Italy. A model wears a creation for Bottega Veneta women's spring-summer 2016 collection, part of the Milan Fashion Week, unveiled in Milan. A model wears a creation for Versace women's Spring-Summer 2016 collection, part of the Milan Fashion Week, unveiled in Milan, Italy. A model wears a creation for Giamba women's spring-summer 2016 collection, part of the Milan Fashion Week, unveiled in Milan, Italy. A model wears a creation for Emporio Armani women's spring-summer 2016 collection, part of the Milan Fashion Week, unveiled in Milan, Italy. A model wears a creation for Moschino women's spring-summer 2016 collection, part of the Milan Fashion Week, unveiled in Milan, Italy. A model wears a creation for Costume National women's spring-summer 2016 collection, part of the Milan Fashion Week, unveiled in Milan, Italy. A model wears a creation for Emilio Pucci women's Spring-Summer 2016 collection, part of the Milan Fashion Week, unveiled in Milan, Italy. 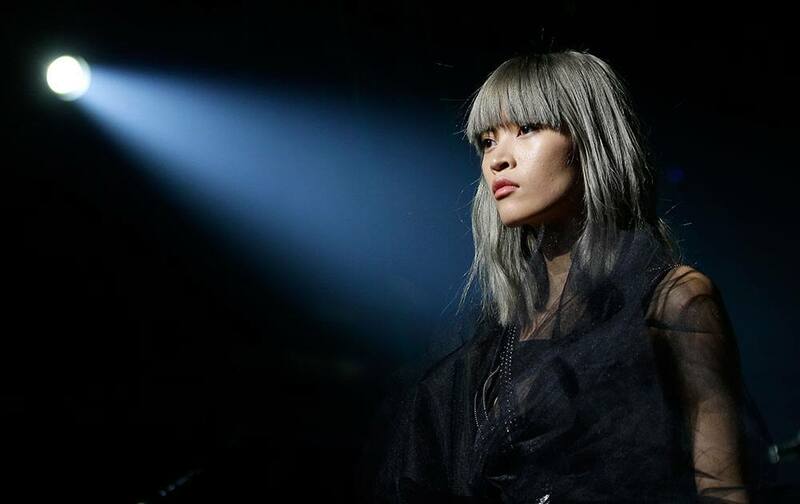 A model wears a creation for Philipp Plein women's Spring-Summer 2016 collection, part of the Milan Fashion Week, unveiled in Milan, Italy. 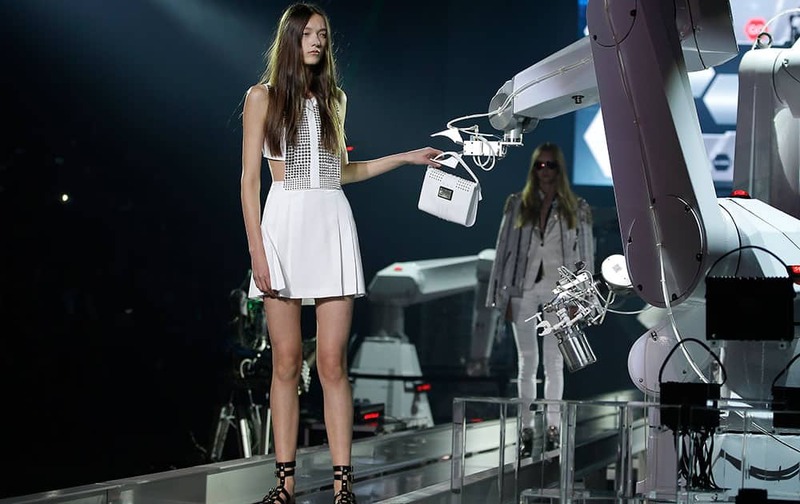 A model receives a bag from a robot as she models for Philipp Plein women's Spring-Summer 2016 collection, part of the Milan Fashion Week, unveiled in Milan, Italy.